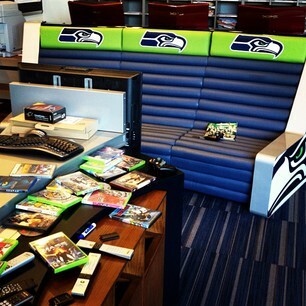 @Tina Follow on Instagram and tell us what you want to see at Seahawks HQ. It will make more sense come 9am. This sounds like a lot of fun. Can't wait for it to start! What if we're not in Seattle? @AceBoogie715 You can still participate in several hours of fun. Check out Hour 3, 6 & 9. 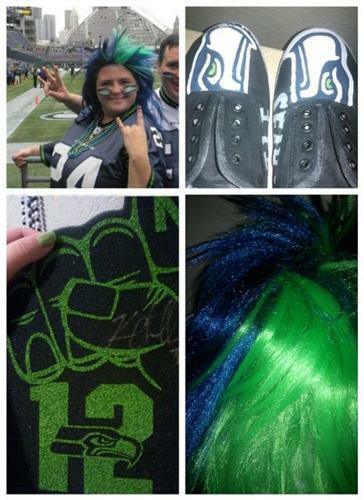 @Seattle Seahawks Aww. I would have loved a chance to win a jersey! @AceBoogie715 Today won't be your last chance to win those kind of things. If you're on Twitter, you should give @winSeahawks a follow. They give away stuff all the time! 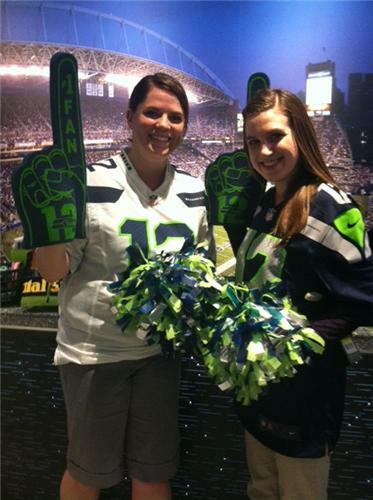 Act as if the only 12th man fans live in Seattle. Bogus 12 hours if you aren't streaming it on the website. @idaho12thman These events are not conducive to streaming online. There are several hours during which the 12th MAN from all over the world can participate. Got a question for a player? Submit it here and check back in Hour 9. 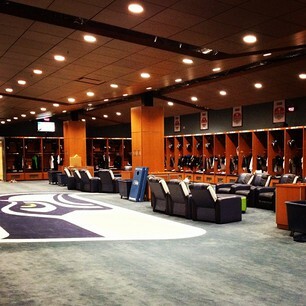 Want a tour of Seahawks HQ? That's coming up next. Check out Hour 6 as well, because we'll need your help. #12ing all the way! Seahawks are the best! Let's hear it for the BLUE! Patrick Yelladay asks Red Bryant: How does the defense feel is the biggest threat on the Dallas team? Red: I guess the biggest threat is DeMarco Murray, given the fact that he was able to have a sufficient number of games last year so he is a big focus. And also Tony Romo. I would say both of them would be guys that we have to focus on. Robert: It was just a true blessing. It was really an amazing feeling, you know what I mean? A dream come true is a dream come true. Just being in the draft and then to have your name called and getting here, and playing your first game. You know that's just like back-to-back having your dreams come true. Heath Farwell: Usually I take my son to the park, family time! Jeron Johnson: When Byron Maxwell comes to the house; he’s just a straight clown. But that’s usually the highlight of my day! 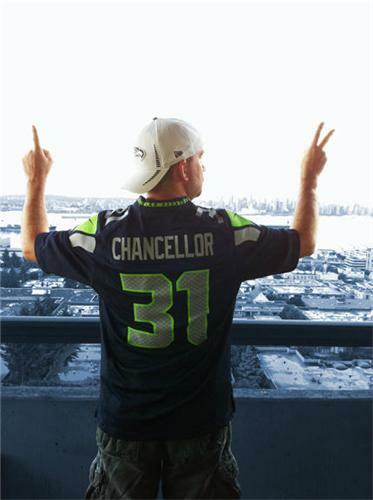 Kam Chancellor: Being on Lake Washington, enjoying the water, jet skiing, tubing. @Seahawks EARL THOMAS - If he could play any other sport besides football what would it be? Earl: Probably baseball. I was pretty good at baseball, and I had to choose something in high school so I just chose football. Russell: One of the biggest differences between Div 1 and NFL, I’d say, is that everybody is extremely talented. Everybody here is basically an All-American out there and can make plays. That’s the exciting part about it. Brandon McGuire from Facebook asks Russell Wilson: What were your expectations of your first NFL game going in as the starting QB for our Seahawks? Rusell: My expectations for my first NFL game was just capitalizing opportunities and just playing at a high level. It was an unbelievable experience and just a blessing of my life to have an opportunity. Obviously we came up short, but we had an opportunity to win the game and you learn from it and grow from it. This #12for12th is officially over. 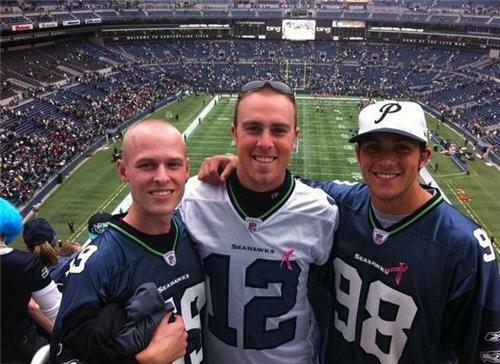 Thanks #12thMAN for being the loudest fans in the NFL. Your first start is only 4 days away! #12for12th Hour 12: Of (coincidentally) 12 contestants, Sarah completed the photo scavenger hunt at The Pro Shop first and won two tickets to see the Seahawks take on the Cowboys in the 2012 home opener.